What is the WTF Mini Mod? To accommodate the growing popularity of miniature mods that has many of the same features of higher-end vapes, Mig Vapor has launched the WTF Mini Mod. The WTF Mod is a tank and mod package comprised of the Target Mini Mod and the WTF tank. 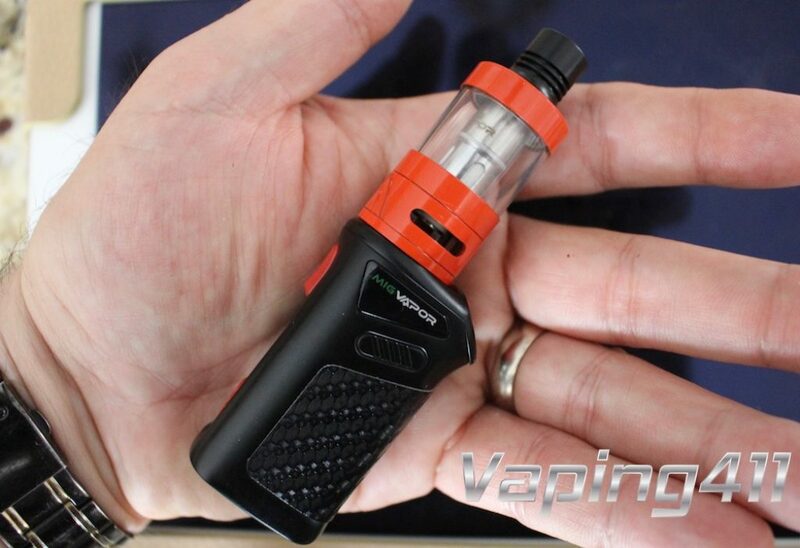 Details and instructions for the WTF Tank and Vaporesso Target Mini Starter Kit. The mini mod literally fits in the palm of your hand; it’s dimensions are 35mm by 24mm by 57mm. The Target Mini comes with a built-in Lithium 1400mAh battery, which is a considerable amount of power when looking a the size of the device. Its design is unique. Upon first looking at it, many have compared it to an old school joystick from a 1980’s video game console. It has three lower buttons and a ‘trigger’ button located towards the the top of the device. 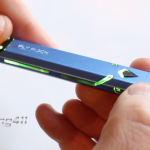 It is easily charged using the USB cable included in the kit. It only weighs about 5 ounces, but this little monster can deliver 40 watts of power. The mod has Temperature Control capability and its temperature range is 200-600F. The WTF Mini Mod easily fits in the palm of your hand. Coil Resistance: Power: 0.15 Ω-5.0 Ω Temp: 0.1 Ω to 1.0 Ω. The 0.49″ OLED display is clear and easy to read. It’s casing is made out of stainless steel and zinc alloy, and has advanced circuitry with many built in safety features. The Target Mini’s bright-colored 0.49in OLED Display allows you to easily view and adjust your wattage and temperature control settings using the buttons on the device. The WTF Tank is made by Tobeco exclusively for Mig Vapor. It is 22mm in diameter and 53mm long. The WTF tank has a juice capacity of 3.7ml. One of the best features about this tank is the threaded top-fill design which makes adding eLiquid super easy and mess free. The mouthpiece is connected to the top assembly making it even easier to add juice to the tank. It is truly a leak-free, simple to use tank. The WTF tank can be broken down easily for the occasional cleaning. The adjustable airflow is located at the base of the tank. You can adjust the airflow by rotating the base to get the desired tightness of the draw. There are approximately seven settings for the airflow and a click can be heard with each change in tightness. The WTF Tank come swith two coils; a 0.2 Ω coil already installed in the tank and a 0.5Ω coil in the box. Use the 0.2 ohm coil to blow big, dense clouds and the 0.5 ohm coil for savoring the rich flavors of your favorite vape juice. It’s available in six colors: white, red, black rubber, gun metal, stainless steel or splatter green. 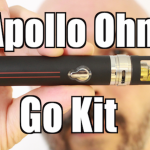 The WTF MO FO mini mod kit comes with everything needed to start vaping right away. The WTF Mini Mod is a discreet and powerful little device that provides all the features found in bigger mods. This tank/device combo is perfect for Vapers looking for a versatile mod that doesn't get in the way, but still provides a good vaping experience.